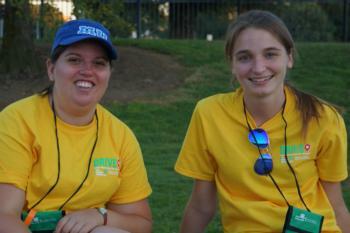 Youth and adults on the SLC Planning Team Make it Happen, Make it Fun, and Make it Meaningful! ***Travel for meetings will be reimbursable per UC policy. Room and Board at State Leadership Conference is included for team members. The Make It Happen Team focuses on all the details that make a vision a reality! Over the upcoming months leading up to SLC, the Logistics Team organizes and coordinates logistical details of the conference while working with input from the State Ambassadors regarding their theme and core message. 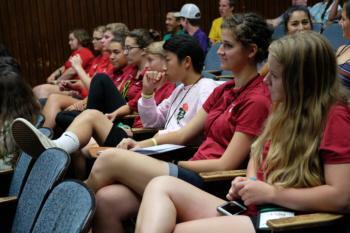 Prior to conference, this team develops promotional materials, designs t-shirts, lanyards, name tags conference programs, delegates door decks, education door decks, thank you notes, and conference banners. They work with each of the other teams to determine what activities will require logistics support during conference. 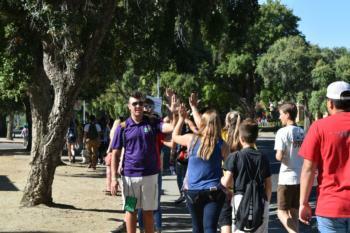 During conference, the team facilitates the check-in process for delegates and UC housing staff. Coordinate the Support Group member’s responsibilities with each of the teams who have requested logistical support. The Make it Fun Team makes the impossible possible and has fun doing it! 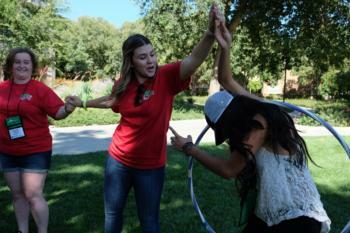 Team members work to provide a fun, creative, and memorable experience for delegates. Over the months leading to SLC the recreation team plans and prepares the recreational activities at SLC. Each day of the conference, they entertain the delegation with different activities, while also developing any other activities as requested. This team can Make It Fun for all! The Make It Meaningful Team is also known as the Education Committee for SLC. They work behind the scenes to help bring presenters, tours, and keynote speakers to SLC. This team works on the educational workshops, tours, and assemblies that provide a meaningful and lasting impression for delegates. This team has a flair for marketing, organization, workshop coordinating, and assembly planning. 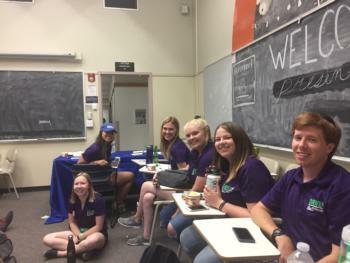 The Make It Personal Team includes the Conference Staff (Conference Director, Assistant Directors, Academic Coordinator, Chaperone Coordinator, PA Coordinator) and the Program Assistants. These specialists and pros ensure that every delegate has a positive and meaningful experience, tailored to each delegate's unique personality and leadership style.